From Fort Worth, TX comes the debut album from Leon Bridges, whose voice has been compared to Sam Cooke and style to the legendary soul artists of the 50's and 60's. The new album entitled "Coming Home" was released on June 23rd through Columbia Records. Bridges' song "Smooth Sailing" has been featured in the television show "Hawaii 5-0" and his song "River" was the feature of one of the latest Beats by Dre commercials featuring NFL rookie Marcus Mariota. Bridges performed at this year's Newport Folk Festival and is scheduled to appear at the Outside Lands Festival in August. Now, lets get to his album. From the moment you hit "play," the music and his voice transport you back to a simpler time when pure talent was the main focus of songs. Beginning with "Coming Home," the soul-vibe in Bridges' vocals instantly take over and you can't help but focus on his amazing voice. His latest single "Better Man" is an up-tempo, R&B groove that will get your hips shakin', while "Shine" brings on the blues and mixes it with a gospel-like delivery of true feelings from the heart. 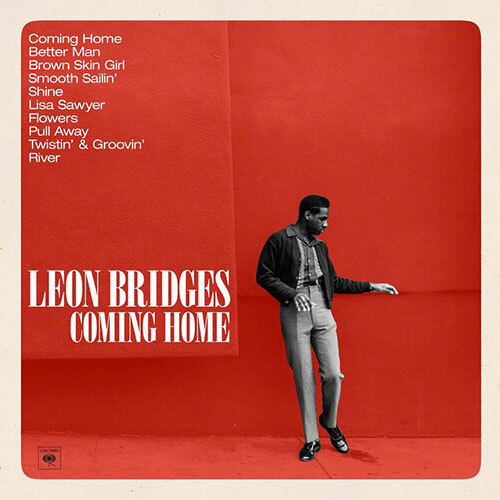 His song "Flowers" is what Sam Cooke and Smokey Robinson would sound like if they debuted their music five decades later and "Twistin' & Groovin'" is what Leon Bridges would have produced if he made this album in the sixties. 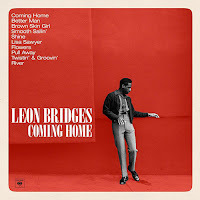 To find out more about Leon Bridges and his new album "Coming Home," please visit leonbridges.com.